The Yelm Cooperative is now accepting applications for new members of the Board of Directors who can begin serving immediately. This is a chance for people with leadership skills to join our dynamic, growing organization and help make a real difference in our community. As a federal 501 (c) 3 non-profit organization, we are embarking on a new journey with many new possibilities as far as program development and funding are concerned. The Board of Directors oversees operations of the Yelm Food Co-op store and the Yelm Farmer’s Market, both of which are already successful programs. Development of the Community Food Education Program and its Community Gardens project are still in the future, but are a major part of our overall vision for the organization. If you feel you have the skills and the passion to advance the Yelm Cooperative into its fabulous future, please look through the Vision & Mission statement and then fill out an application (see following links). Drop your completed applications at the Yelm Food Co-op store location or email them to yfcstrategy@gmail.com. Be a leader in growing the Yelm Cooperative into all it can be! On Thursday, August 8th, 2013, The Board of Directors formally appointed Barbara Morando to the seat vacated by Aaron Rodriguez’s resignation. We are excited to have someone with Barbara’s breadth and depth of business experience joining us on the Board. Next time you see her, give her a big Yelm Cooperative greeting! nd have the skills we need, we”d like to hear from you. The process for this is covered in several earlier posts. Please read through them to get a better idea of what the Cooperative needs in its management team. One thing to keep in mind: this is not just about the Food Co-op retail store. 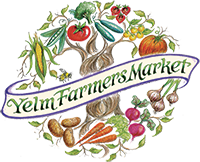 This is also about fulfilling the whole Vision & Mission Statement which includes the Yelm Farmer”s Market and the proposed Community Gardens and the development of the Community Food Education Program. Directors elected this year may also become Directors of a federal non-profit (501.c) entity when the application is approved. Elected directors will also be able to apply for Board Officer positions which this year will include Treasurer and Secretary. Along with the Board Skills Matrix, please send a short resume and give us some ideas of how you”d like to advance the Vision and Mission of the Co-op, if you are selected, and then elected by the membership. Please send both to yfcstrategy@gmail.com with the subject line “Board application”. You can also pick up the Application Forms at the store. There has been some confusion amongst the members about the process of becoming a Board member and we thought it should be cleared up here. Anyone can apply for a position on the Board of Directors for the Co-op. Membership is not even a requirement – our RCW allows non-member Board members and, as many companies do, this provides a neutral standpoint that can be very useful in the overall function of a Board. What has changed is that now, with all that we have in front of us to grow the store through challenging times, the Board has identified certain skill sets, or talents, based on previous experience, that they feel are critical to the future success of the Co-op. Therefore, the Board has established a Board Recruitment Committee. At least three board members sit on it. The Board is actively recruiting members. If you know someone you think is qualified to be on the Board, they can fill out a Board application at the store and submit it. They will then be scheduled an interview, first with the Board President and then with the whole Board Recruitment Committee. Prior to the meeting with the committee, the applicant will be asked to submit a resume and will also be asked to fill out the Skills Matrix developed by the committee. After that, if all parties (including the applicant at that point) agree that they are qualified and can contribute to the long term growth and health of the Co-op, the committee will invite the applicant to the next Board meeting. The results of the interviews and the skills matrix will be discussed by the full Board and the applicant. A decision can then be made to appoint the applicant to fill one of the vacant seats or not. If appointed and if it all works out, they can then be confirmed at the next Annual General Meeting. This desire to find the very best, most talented people to serve our members should be greeted with great enthusiasm and not skepticism. Some members have expressed the point of view that this process is too controlling and allows the selection of Board members to be in the hands of too few people. We will hit $850,000 in sales in 2011; we have 4 paid staff and about 40 volunteers, in and outside of the store that need to be managed; we take orders every week that total nearly $15,000; we are implementing a comprehensive Point-of-Sale system; we are meeting with city officials and private investors to plan the overdue store expansion and the whole new “City Hub” we have been envisioning. We are working to involve people all over the community to build a sustainable, locally-oriented city that can feed itself and provide for all of its citizens in what may become a very challenging future. We need people who can do all these things and can carry this vision forward to its completion. This is why your Board has chosen to make the application process much more stringent. They are looking for the very best people to guide your Co-op forward. Every member should be pleased that the Board has taken this route. This is about your store and it’s about the future! If you feel qualified, please ask at the store for an application or print this pdf form. We need great talent for the great times coming. If you have it, we want you! P.S. If you’d really like to apply for a Board position, here is the Skills Matrix worksheet you need to complete before your interview. P.P.S. There are many ways you can serve your Co-op besides being on the Board. There many volunteer positions, and there is a need for qualified people to be on the various committees that already exist, or will be being set up. Talk to the store managers or a Board member to find out how you can help.